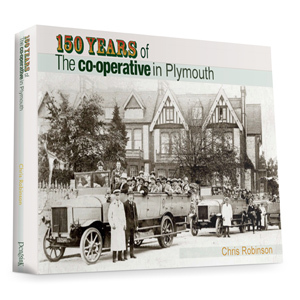 Chris Robinson’s 150 Years of the Co-operative in Plymouth is the story of how a small group of men came to set up what became the biggest retailing operation in Plymouth is quite remarkable … and absolutely enthralling. 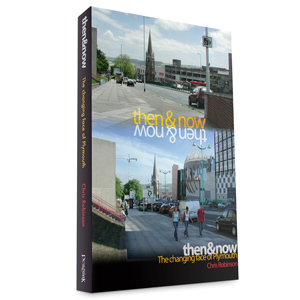 Chris’s account stands alone as an absorbing overview of retailing over the last 150 years as well as being a fascinating story of an outstanding local business, one that has had hundreds of thousands of members and many thousands of employees since 1859 and is today part of a Co-operative Movement that, globally, has around 600 million members! 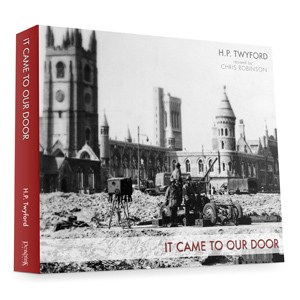 Aided and abetted by earlier Co-operative histories, a former Chief Executive Officer, Victor Barton, and the retiring CEO, Douglas Fletcher, Chris has produced a volume worthy of this major anniversary. 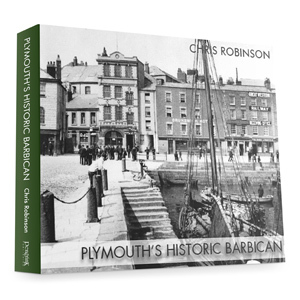 A lavishly illustrated, 256-page hardback, the book charts the rise and rise of the humble people’s enterprise that started out in an upstairs room on the Barbican. 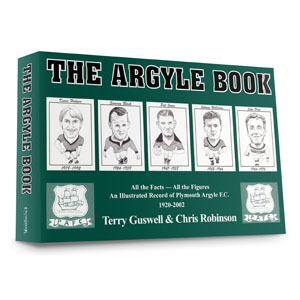 Modelling themselves along the lines of the Rochdale Pioneers, who had launched the first truly successful Co-operative in Toad Lane in 1844 (the year after Dickens’ Christmas Carol had been published), the Plymouth Society grew swiftly. Their aims to sell decent quality food to working men and women at decent prices – with the promise of a dividend to be paid from any profits made – proved instantly popular. 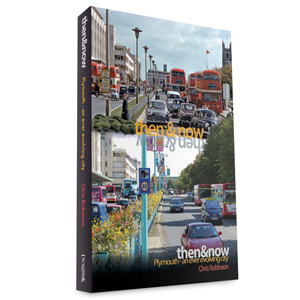 Each year’s growth was impressive and by the 1890s they were able to build, without borrowing a penny, the most substantial shopping complex Plymouth had ever seen. Indeed, had it not been for the Blitz their Central Premises would doubtless still be standing today. As it was by the time war broke out the Plymouth Co-operative Society were running over 140 shops across Plymouth, Stonehouse and Devonport, plus a major bakery, preserve works, laundry, dairy as well as eight farms, footwear factories, furniture removals and so on. After the war, they were ready and able to service the new housing estates, either with travelling grocery or butchery vans or other mobile units, or with brand new shops. And then there was the impressive new Co-operative House, built in three phases in the early 1950s, giving the Society the largest retail footprint in the City Centre. The first to introduce Self-Service shopping into the City and at the forefront of the superstore, then convenience store revolutions, the Society’s recent history is every bit as compelling as the early stages and Chris’s account stands alone as an absorbing overview of retailing over the last 150 years as well as being a fascinating story of an outstanding local business, one that has had hundreds of thousands of members and many thousands of employees since 1859 and is today part of a Co-operative Movement that, globally, has around 600 million members!